Department of Drama presents OUR TOWN | Department of Drama, U.Va. 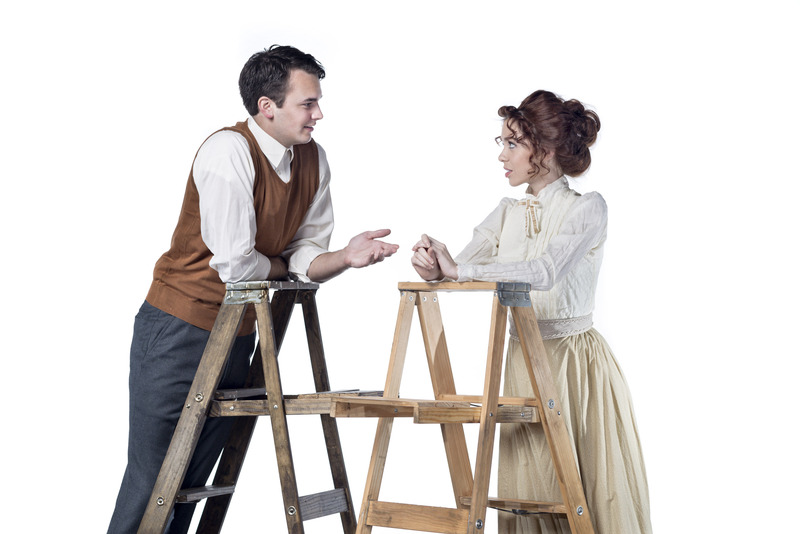 The University of Virginia’s Department of Drama is taking audiences to one of the most cherished destinations in the history of American theater when it presents Thornton Wilder’s Pulitzer Prize winning 1938 classic Our Town. Robert Chapel leads a multigenerational cast of students and community members on a journey to the timeless and universal Grover’s Corners, where the intersecting lives of two families offer up lessons on love, loss, and life that have captivated generations, and still resonate today. Our Town will be presented at the Ruth Caplin Theatre from November 18-21 at 8pm and November 22 at 2pm. Tickets are $14 for adults, $12 for U.Va. faculty, staff and U.Va. Alumni Association members, and $8 for students. Tickets are available online at www.artsboxoffice.virginia.edu, by calling 434-924-3376 or in-person from noon until 5:00 p.m. Monday through Friday at the U.Va. Arts Box Office, located in the lobby of the Drama building. Full-time U.Va. students may receive one free ticket if reserved at least 24 hours in advance of their desired show date. While Chapel and Co. are sticking to Wilder’s basic instructions on how to present the show, they added a twist when it came to casting the lead role. “Thornton Wilder created this as a minimalist show so that all the focus could be on the words the characters are saying. We are not using any props at all.” The twist Chapel said, comes courtesy of Carolyn Demanelis, a U.Va. Drama graduate student who plays the Stage Manager. “It is so much different than having an older man in the role. I think Carolyn brings a certain modern edge to the story. It has been really interesting to watch her, and all of her fellow cast members, discover the subtext behind a lot of these speeches.